I needed some major time away from home in LA. So, after arranging, fretting and almost giving up, I managed to fly off to Paris alone, for six luxurious weeks. I rented an apartment. And I fell in love with traveling alone. When one has chosen to travel alone, one is looking for a blissful freedom, the lovely quiet, and above all, the sense of power that comes from having accomplished the trip at all. And that is what I get every time I travel alone. For the airplane, I bring warm socks and my own pillowcase for the airplane’s pillow. In the apartment or hotel, I arrange my toilet articles in the bathroom in the same order I have them at home. This move eradicates time-consuming searches for lost mascara. I arrive with a moderate amount of the local currency already in my wallet. I learn to use the metro and buses. Boarding a bus and riding it from one end to the other offers up a wonderfully expansive view of the city you’re visiting. And the speed with which the metro or subway gets you from point A to Z cannot be underestimated. The more you walk the more you can eat. I don’t think this needs any elaboration. So, wear comfortable walking shoes. I wear Mephistos. I never wear running shoes of any kind while traveling, unless I’m in the States. I have a horror of screaming I’m a tourist! I’ve written two books about Paris. Me, Myself and Paris and Paris, I’ve Grown Accustomed To Your Ways. Almost every year I go there for six weeks. Along the way, I have developed favorite things to do, to buy, to eat in the beautiful City of Light. My favorites museums are the Carnavalet in Le Marais (contains the history of Paris), and the Musee de la Poupee nearby, which is tiny and fantastical. Across town I love the Musee Nissam de Camondo near Parc Monceau. And the Fondation Le Courbusier. In Paris, my favorite place to eat is in my kitchen. Because buying food is a culinary wonder, and half the Parisian experience. However, eating out is wonderful. I especially love the formal Le Propope in the 6th arrondissement, established in 1616. And cozy Angelina’s, across from the Tuilleries, for their splendiferous hot chocolate. My favorite store in which to browse is Merci, a concept store over in the Beaubourg. All their profits go to charity. My favorite stores for my gifts to bring home are the gift shop for the Comedie Francaise by the elegant garden of the Palais Royale, and the gift shop within the light-filled Petit Palais. And my favorite area for shopping for myself is Montmartre. Montmartre has it all, including the exhilarating possibility of getting lost among the cobblestones and history! This is a guest post by author Ruth Yunker. 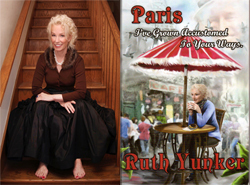 Ruth Yunker is an author, humorist, columnist, blogger and diehard world traveler. Her peripatetic childhood led to an adulthood always on the move; she has lived all over the United States, from Boston to Los Angeles, Brussels, Belgium and, for a short time, Paris. Her first book, “Me, Myself & Paris,” recounts her first experiences as a single woman living alone in Paris for three six-week stints. 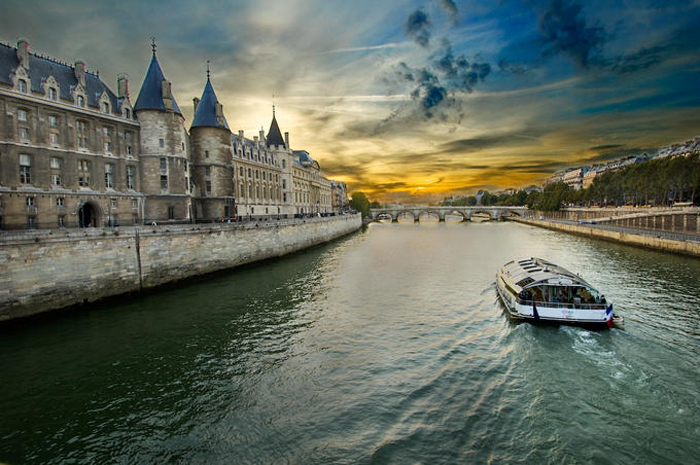 Her newest book, “Paris, I’ve Grown Accustomed to Your Ways,” continues the saga from a more City of Light-experienced perspective. Learn more at www.ruthyunker.com.